Our focus is on designing affordable websites that look stylish & professional. Each website we create is custom designed to suit your business & budget! We offer our clients easy-to-use access to edit their site & update content. You don't have to know any geeky or technical skills to edit your site. No matter what your business & how many pages you require, Wattle Web Design will give you the online presence you deserve. In short, we offer a service like no other website designers; quick, professional, but most importantly, really affordable. 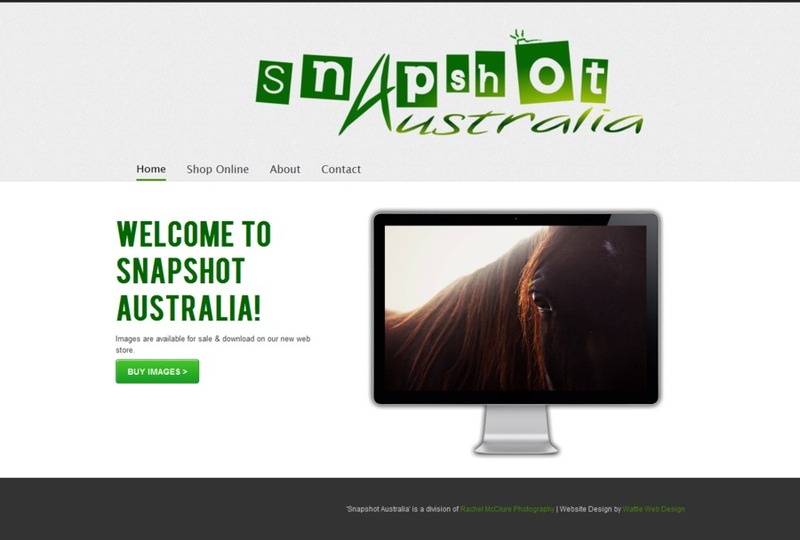 This is a screenshot of a eCommerce photography website we designed & developed.